In 2017, IHRSA estimated the fitness industry earned $87.2 billion globally. Year-over-year, the fitness industry continues to boom as more people seek personal wellness. Despite this, reliable fitness data remains scarce and often inaccessible to fitness professionals. So, Club OS turned to the wisdom of the crowd. We sent a five-question prospecting survey to our current clients. We hoped to crowdsource reliable data on the prospecting habits of actual fitness professionals. This survey was completely voluntary and completed by 163 fitness professionals. As promised, we’re sharing our findings as a free resource for the industry. Q1. When reaching out to a new prospect which method of communication typically receives the highest response rate? The way we see it, there are three major communication methods: text message, phone call, and email. Sure, it’s possible someone’s out there mailing prospects handwritten letters, but for the rest of us, these are the ones that matter. While each method is valid and offers unique advantages, we wanted to know if prospects respond more positively to one over the others. 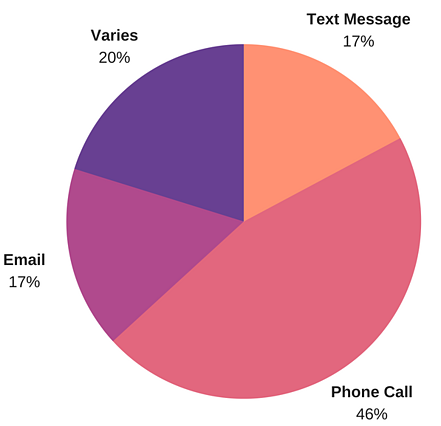 While no communication method can guarantee a response, text message is the clear leader according to our respondents. This tracks with cultural trends as texting increasingly replaces phone calls in our everyday life. 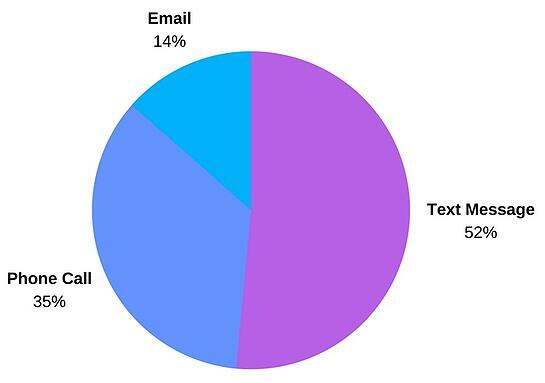 Not to mention, the eye-popping 98% open rate text messages enjoy, compared to email’s 22% (mobilemarketingwatch.com). Q2. 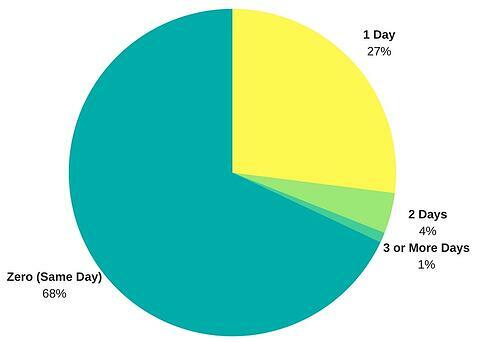 When a new prospect submits a lead form online, how many days on average pass before you reach out? Web leads present a unique challenge as they have never physically visited the club and have had zero contact with club staff. Added to this, there's no guarantee the web lead is genuinely interested in one particular club. They could be "window shopping" several clubs by filling out online interest forms. So what matters most, contacting web leads as quickly as possible or waiting for the right moment? You probably aren’t surprised to find our respondents overwhelmingly subscribe to a same-day model for contacting new web leads. Benefits of same-day contact: demonstrates a club’s efficiency, shows the lead they are valued, and mitigates the risk of a web lead making contact with a competitor or losing interest before they are contacted. Q3. 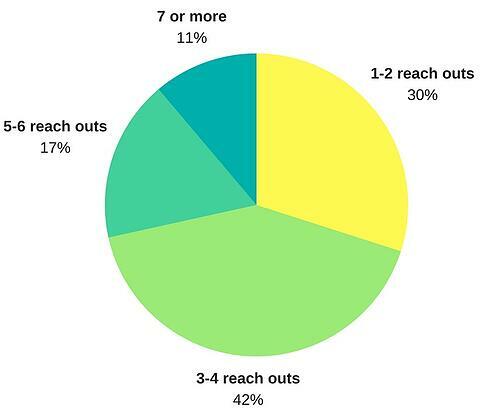 Which method of communication do you typically use for the first reach out to a new prospect? First impressions matter. We were curious to see if there was a clear preferred communication method that fitness professionals trust to make that all-important first reach out. Note: The response "Varies" indicates the contact method used for the first reach out is dependent on the contact information available for each individual prospect. You can’t discount interpersonal communication. Almost half our respondents indicated they choose phone calls for the first reach out. How better to pitch your club and its value than in your own words? Phone calls act as a mini-meeting, giving you the opportunity to establish a relationship with the prospect before they attend a membership appointment. Q4. How many unanswered reach outs will you attempt with a prospect before you consider it a “dead lead”? There’s a delicate balance between persistent and annoying. In business, you can’t afford to give up on potential new members without a fight. However, there’s always the danger of pushing too hard and alienating a prospect who may have purchased a membership in the future. So, how do you know when to call it quits on a lead and pursue greener pastures? Persistence over caution. Only 18% percent of respondents reported giving up on a lead after one to three unanswered reach outs. 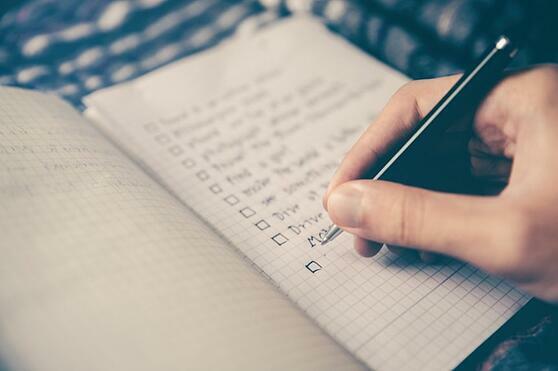 In fact, the largest group of respondents indicated they continue following up with a prospect indefinitely until they receive an answer or the prospect opts out of communication. Q5. On average, how many times do you contact a prospect before they purchase a membership? This question builds off of the previous question. 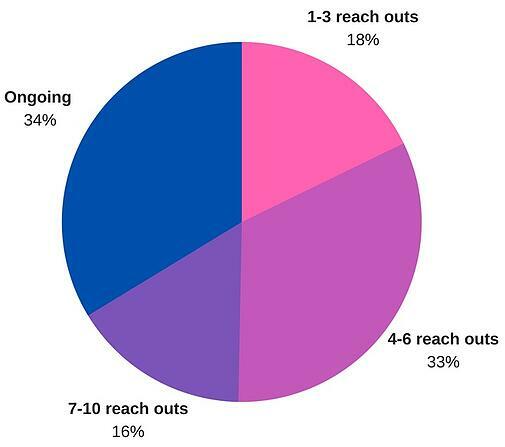 If you can identify the average amount of reach outs it takes to sign a new member, you can better understand how many follow-ups past this amount are worth performing. Short game is king. A combined 72% of respondents reported contacting a prospect four or fewer times from initial contact to signing a membership. These numbers are most likely skewed by the fact that prospects often contact a club already intending to join, so relatively few contacts are needed to close the sale. The prospecting process is different for each lead, but if you find yourself contacting a prospect for the fifth or sixth time, the sale may be slipping away. Want more resources to help with prospecting? Download our club guest e-book for free now! This e-book features over +40 follow-up scripts to convert guests into members.